Online interactive training is a powerful method of delivering the latest resources, knowledge, and techniques to professionals across industries. No matter where you live or work, collaborative technology like GoToTraining, Adobe Connect, WebEx and Zoom enable people to connect, exchange ideas, and learn from each other. Out of the many tools for online collaboration, online interactive Instructor-Led Training (ILT) courses have emerged as a superior methodology by reaching and engaging new audiences. This fall, MidAtlantic Employers’ Association will be offering the Foundational Management Series as six public online courses bringing the training right to your desktop. As a MidAtlantic Employers’ Association member, you’re privy to empowering online interactive courses that can instantly provide you with knowledge to use immediately in the workplace. Online interactive training differs from other virtual teaching by providing an instructor to lead participants through learning material, classroom discussions, and exercises. While e-learning and webinars have existed for more than 2 decades, online interactive training is a fairly recent methodology developed to more closely replicate the interaction and effectiveness of in-person learning experiences. Today, online training is used across industries and occupations. Businesses often use it for professional development, customer and product training, onboarding, and more. This method is also a best-practice approach for online high school and collegiate instruction. 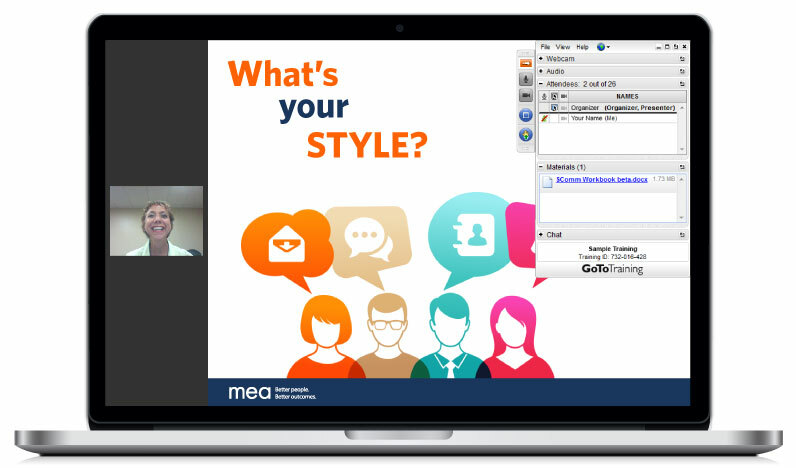 MEA has been offering online training for companies for nearly a decade, providing crucial training for member businesses, whose staff may be spread out geographically or have unique scheduling needs. Online interactive training is changing the way the world learns. Whereas traditional e-learning typically walks students through an automated lesson, online interactive relies upon a skilled, trained instructor to lead virtual classroom learning for a group of students in real time. It also allows for interactions between fellow students. Group learning is a crucial facet of online training as well as retaining course material in any educational setting. MEA values training that sticks. Online interactive is very effective – not only because of instructor and group interaction but – because of the powerful methodologies employed in every session. Virtual Instructor-led Training is always interactive and uses discussion-driven activities, exercises, case studies, and more to build participants’ skills. In 2-hour modules, you will challenge yourself through real-world problem solving that will make you better at your job and help you continue to be a valuable asset to your company. The ubiquity of online interactive training across companies and industries proves the importance and value of virtual learning tools. HR professionals, salespeople, managers, and even executives can all benefit from effective virtual learning. This approach allows professionals to stay on top of the latest industry trends and tools. Instead of simply reading articles, virtual ILT courses provide an engaging environment to truly master. The immediacy of MEA’s virtual courses make them crucially impactful for professionals. The live, instantaneous learning allows you to take the lessons learned from a course and apply them at work the very next day. Marian Vallotton is MEA’s Director of Training & Development specializing in engaging managers and employees through online training for over a decade.